Uhhh, this touched my heart something serious. Gah... you are SUCH a damn good mom and she couldn't be any cuter. Love both of your hearts! Yea! Yippee! Superfantastic! I'm so happy! Remember Kiehl's Heat-Protective Silk-Straightening Cream. I love that stuff and really helps when blow-drying and flat ironing the hair. What an amazing moment! She's gorgeous and deserves to love everything about herself! Ahh im so happy she loves it!! Tell her she is gorgeous! That is awesome! I think every girl goes through a phase where she hate her hair. Girls with straight hair want theirs to be curly, girls with brunette hair want it to be blonde, etc. I know I was that way for a long time! It's great that she's finally coming to love it! And I wish I had those curls! Oh my goodness! You are such a great mom Whitney! 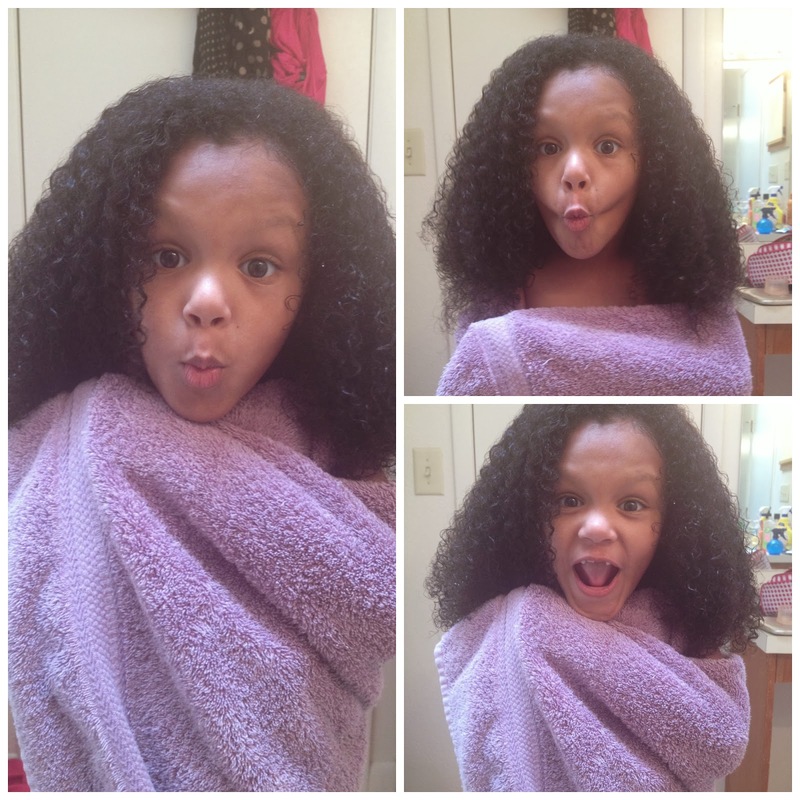 This post really hit home because I used to hate my curly hair growing up as well. All my Asian cousins had straight hair and there I was, this little mixed girl with curly hair that stuck out in family pictures. I think it's awesome and so vital that you made a point to find ways for Boomer to love her hair esp. at her young age! Totally helps when dealing with growing pains in general. This is fantastic news! I'm so happy Boomer is loving her hair and I hope that continues!